We hope you are all having a wonderfully bookish weekend. We are busy bees packing up our Fearless Females boxes which will be going out in the post to all of our lovely August members tomorrow, which means they will be reaching their new homes very very soon! We can’t wait for you to start receiving them and to hear about your unboxings! 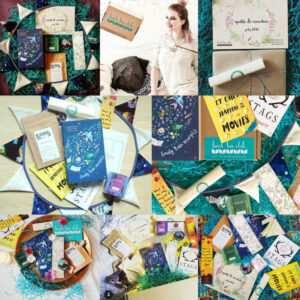 Speaking of unboxings, we thought that it was high time we shared with you our full unboxing of our SPELLS & REMEDIES July box. These gorgeous photos were taken by our lovely rep Jess over at @witcherybooks do go and check out her beautiful Instagram account for more bookish photos (and a discount code for new Book Box Club members!). With thanks to @the.literary.omnivore for this unboxing photo. The Disappearances by Emily Bain Murphy – A shimmering, magical feast of a book set in Sterling – a strange, cursed town where the inhabitants are slowly and very literally losing their senses. Rich with gorgeous language, romance and intrigue – prepare to fall in love with our July read. Scrolled Invitation – Join us for our members-only online book group. 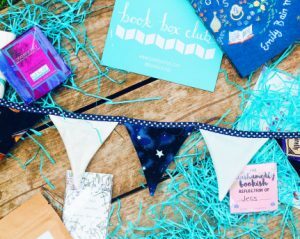 Chat about our stunning featured book, alongside the author herself and our other lovely subscribers. Unashamedly Bookish Mirror by Moon Kestrel – Keep an eye on your reflection – in Sterling it might just disappear! This cute pocket mirror was designed by Book Box Club founding member Moon Kestrel, Find her on Instagram @moon_kestrel. Bookish Goodies – With thanks to our friends at Hot Key Books and Usborne Books. 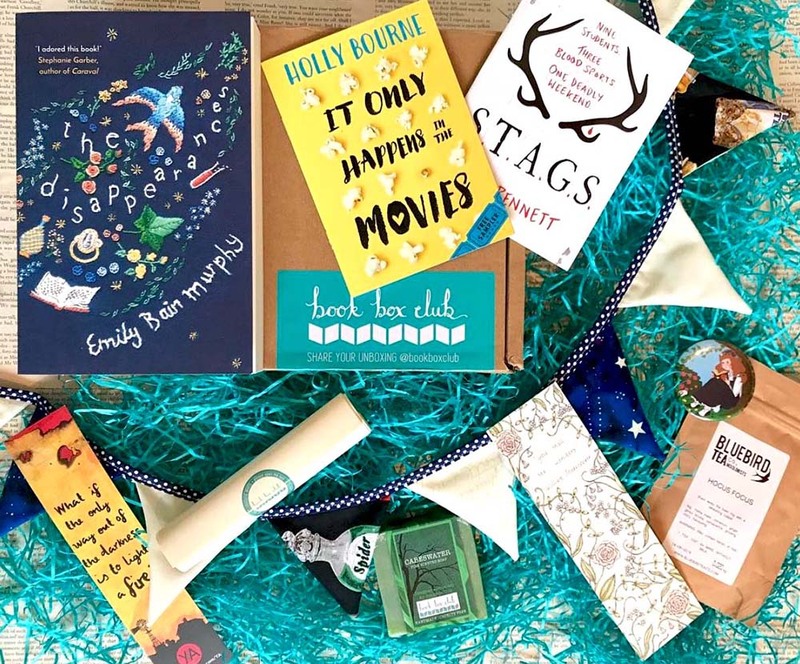 Ta daaaa!We hope that all of our July members enjoyed unwrapping this box as much as we loved putting it all together and that you’re all enjoying reading The Disappearances because we can’t wait to chat with you all (and with it’s lovely author Emily) about it in The Clubhouse later this month. We’d love to hear what you favourite item in this box was, let us know in the comments below or on Instagram, Twitter or Facebook. As always we’d like to say a huge thank you to everyone who helped us on this box. 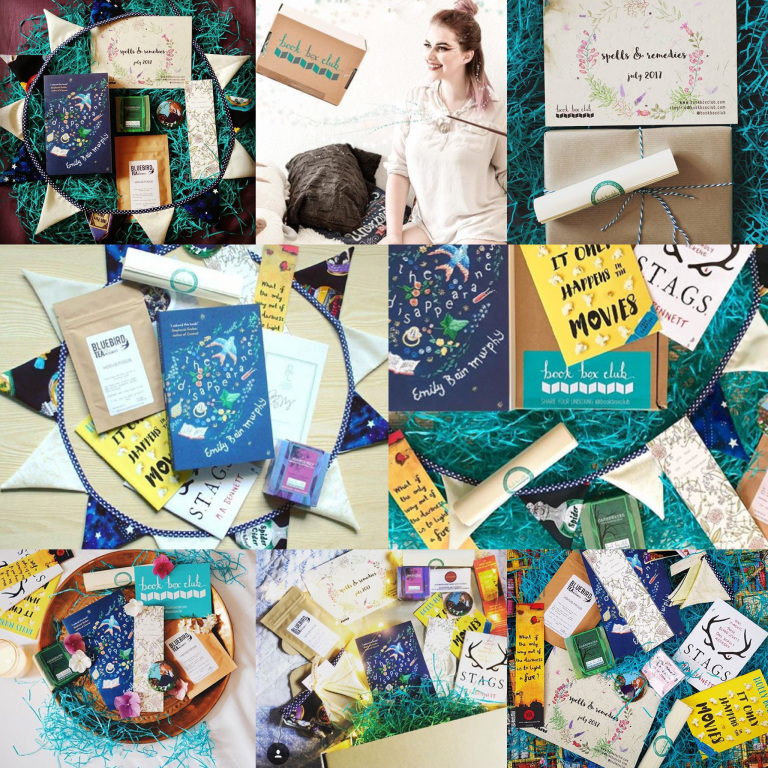 We had the chance to work with some amazing crafters and illustrators this time around many of whom we’ve been excited to include for ages and we are thrilled to be able to share these beautiful items with our members.